When students think about the holidays they often think of Christmas trees, candy canes, and reindeer. 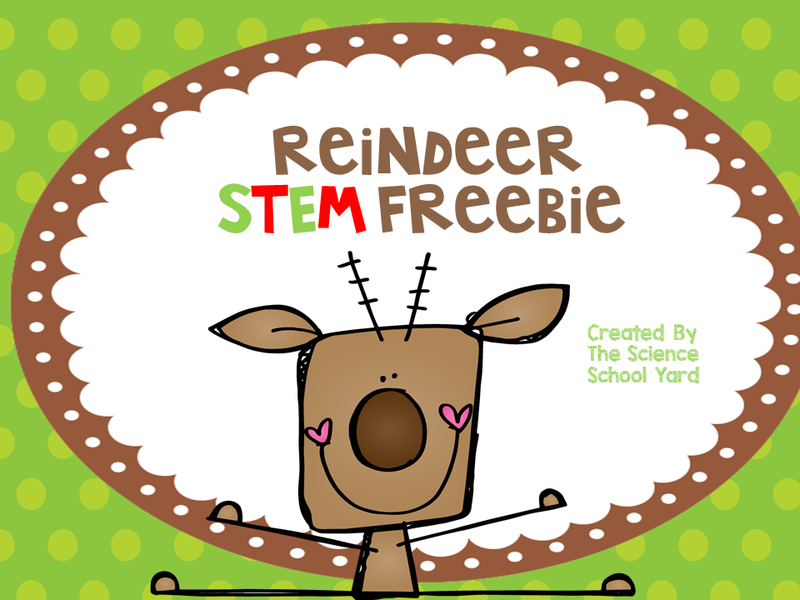 Celebrate the holidays through activities that will connect a story book to a science topic...then add a sprinkle of STEM for a great hands on project! 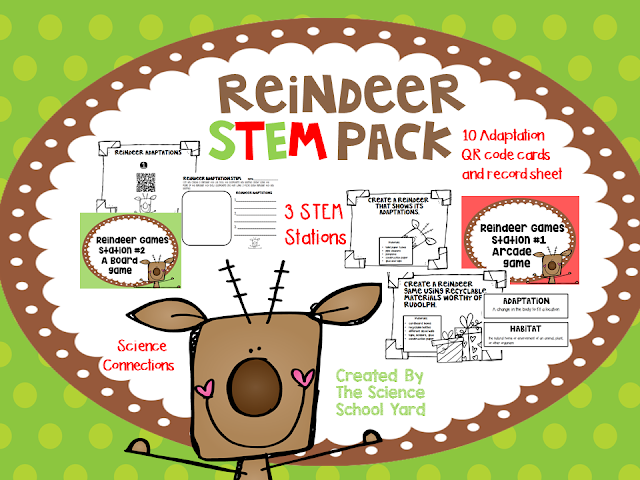 This will allow your learners the opportunity to investigate adaptations that help reindeer survive in their environment as well as add a bit of holiday fun in a hands-on academic way! 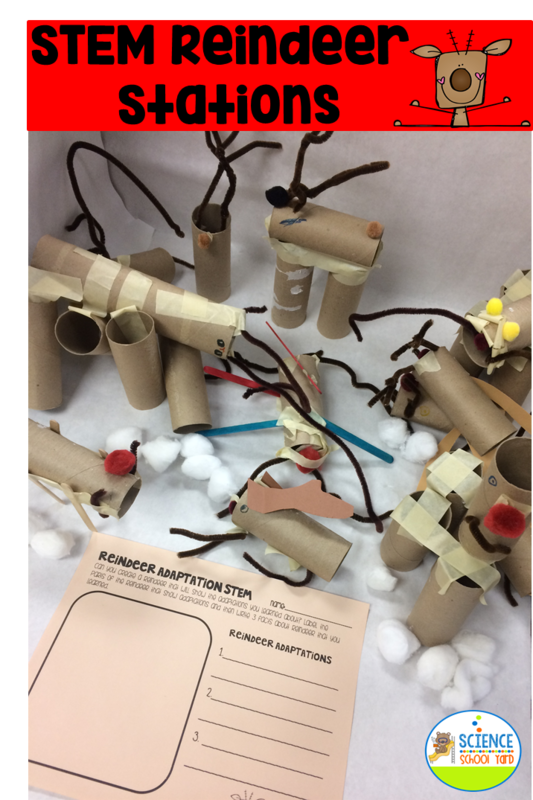 Objective: Investigate adaptations of a reindeer to find ways that reindeer are able to survive in the tundra and then apply it by making a reindeer that shows those adaptations. I use the Epic Book Reindeer by Dee Phillips. Epic books is free for educators! 1. What do you know about reindeer? Where do they live and what do you think they do to survive where it is so cold? 2. 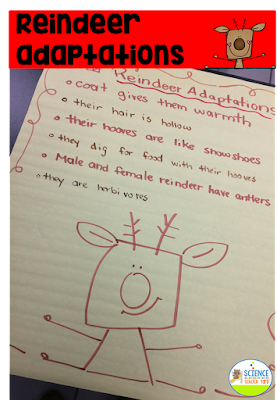 Today, we are going to learn about reindeer and their adaptations that they have that helps them survive. An adaptation is a change in the body to fit a location. 4. Now, have them create an anchor chart that has them share what they learned. This is a great spot to introduce the STEM activity. 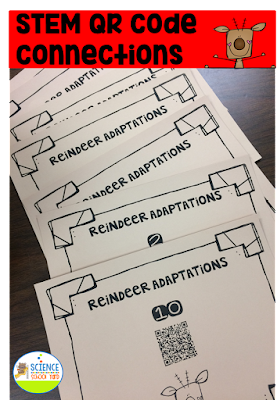 If you have the pack...share with them the QR Code Reindeer Game. They will get time to Scoot around the room to find ways that reindeer adapt. This will help them when they create their reindeer out of supplies you will provide. Give them the record sheet and have them collect information by scanning the qr codes for facts! 5. We then gather to add to our anchor chart. This is where I introduce the STEM activity. They will be creating a reindeer out of the materials provided. They must show adaptations that they learned and be able to provide evidence as to what they learned by drawing and labeling their STEM reindeer. 7. They each add a fact tent to the display sharing one thing from their facts they collected or what is on our anchor chart! 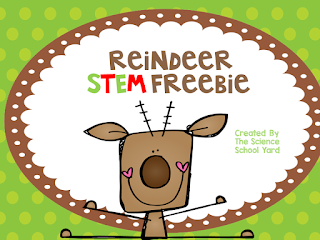 I know tis' the season to add some fun STEM, but if you are like me...I am on evaluation and I want to make sure that if we are doing a hands-on STEM project that we are tying it into Science so that the academics goes hand in hand with the S in STEM! This was a perfect time to integrate reindeer facts, an adaptation lesson, and STEM connection...on a side note...when I asked my second graders to share facts about real reindeer that live in the tundra before we read our story...each "fact" revolved around Santa and his reindeer. After reading our book and going through our QR code game...they really had a framework about other reindeer, not just Santa's!